There is a dark side to the holidays – the price of all those great family reunions, getaways with friends, home-cooked meals, and meat on the grill. A review of accident reporting from the National Highway Transportation Safety Administration and the National Safety Council (NSC) reveals the incidence of drunk driving accidents is higher during the holidays than any other time throughout the year. Evidence suggests more uninhibited imbibing comes along with all the good food and warm tidings. Let’s take a look at some of the most dangerous holidays when it comes to alcohol-related accidents. The NSC reported that Independence Day weekend accounted for as many as 5% of the 10,000 fatalities due to alcohol impaired driving in 2014, and almost 60,000 traffic accident-related injuries, making it the deadliest weekend of the year. America’s most alcohol-filled holiday season is Thanksgiving week, from Wednesday through Sunday. Time off work and school provides ample time for people to overindulge. Over the past decade, there were between 400 and 650 drunk driving fatalities during Thanksgiving. Though deaths have fallen in recent years, traffic accidents still cause more than 45,000 serious injuries during Thanksgiving. Christmas remains the safest holiday of the year in regard to traffic accidents, with approximately 100 drunk driving fatalities and 10,000 serious injuries overall. However, 35% of accidents during the winter holidays involved alcohol, perhaps due to excessive Christmas party imbibing. Not long after the Christmas cheer wanes, New Year’s Day sees a spike in drunk driving accidents, with over 150 fatalities. 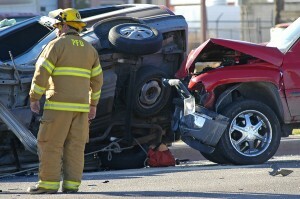 In fact, roughly 42% of all traffic accident-related deaths involved alcohol on New Year’s. Other holidays also see a rise in drunk driving accidents, including Memorial Day, Labor Day, St. Patrick’s Day, Cinco de Mayo, and Halloween. The holidays are the most dangerous times of the year on our nation’s roadways. If you choose to drink alcohol, you have a duty drink responsibly. If you or someone you know has been affected by drunk driving, seek legal guidance from Attorney Joe Luce today at 972-346-5180.